How can you resist those eyes?? Such a pity he has to be in a kennel.... I hope they (there are 4 more puppies!) 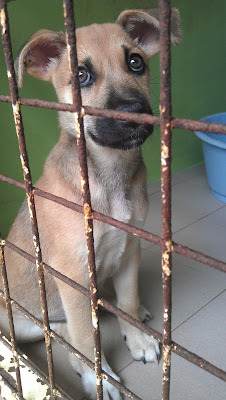 will soon get adopted. Ah! and Bravo (day 103) got adopted, so happy! Ah, y han adoptado a Bravo (dia 103), que bien!